High's real estate product types go beyond office and industrial to include multi-family residential & retail properties. 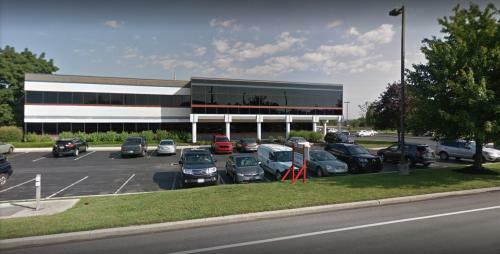 We grew from having one centralized presence in Lancaster, PA, to having 24 office & property locations throughout the eastern U.S. We manage more than 8 million square feet of commercial and industrial space that includes several major corporate centers and other properties including six apartment communities totaling more than 1,700 upscale garden apartments & town homes. Address: 3636 N Central Ave Ste 650 Phoenix Arizona 85012, USA Phone: 866-299-8383 Website: https://www.emeraldar.com/ Our solutions address needs associated with patient communication, customer service, payment processing and posting, and automated screening for charity and missed insurance eligibility. Designed for easy implementation and zero capital expense for huge infrastructure gains, our solutions have allowed our clients to release themselves from the planning, development, and capital costs associated with improving their patient billing capabilities and processes, allowing their organization to achieve their goals quickly. Aines, Carter & Associates 150 Wiltshire Avenue Louisville, KY 40207 (502) 612-8669 https://ainescarter.com/locations/louisville/ Aines, Carter & Associates, based in Oldham County, helps prepare families for the Golden Years by providing insurance products. Aines, Carter & Associates utilizes a conservative and balanced approach to planning for the future. The objective is to secure wealth attained during the income earning years through a variety of insurance products. We specialize in life insurance, long term care (not covered by Medicare), and Medicare products (including prescription drug plans).